Access to OpenAir St Gallen 2019 from 27th June - 30th June 2019. Access to OpenAir St Gallen 2019 from 28th June - 30th June 2019. 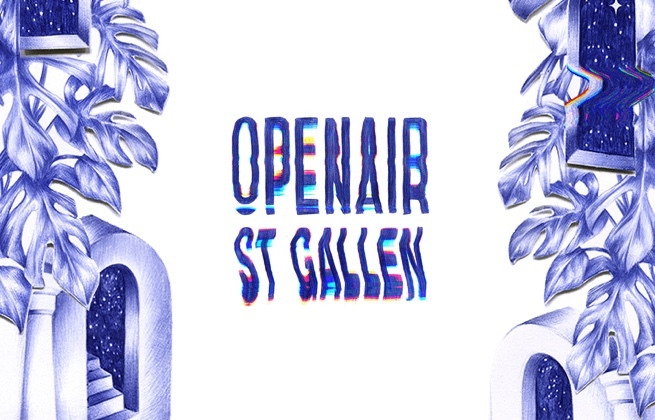 Access to OpenAir St Gallen 2019 from 29th June - 30th June 2019. Access to OpenAir St Gallen 2019 on 30th June 2019. The Hotel am Spisertor lies at the edge of the pedestrian zone, ideal to relax after an active day, or for a journey of discovery into the nearby Old Town. The appealing building complex at the “Spisertor” includes a retirement home and nursing home, (The Kursana Residence) a Hotel-Restaurant (the Hotel am Spisertor), shops and an underground car park. The Hotel am Spisertor is open 365 days a year, 24 hours a day; the restaurant opens from 7 AM until 7 PM. The 12 non-smoking double rooms (two beds) are also available as single rooms and offer a maximum in comfort. All rooms are equipped with shower / WC, telephone, in-room safe, W-Lan, radio alarm, and cable TV. A wide range of drinks and snacks is available in a vending machine. The car park is free for hotel guests and is like the restaurant, wheelchair friendly. In all rooms, in the lobby and in the restaurant, internet access is free of charge available through W-LAN. 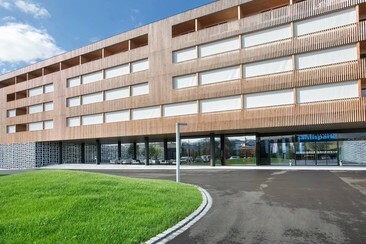 Overlooking Säntis Mountain, the 4-star Hotel Säntispark offers 136 elegantly decorated guest rooms and suites and also features two restaurants: the Schnabelweid boasts a fine selection of regional specialties and Swiss cuisine, whereas Il Ristorante Uliveto serves creative Italian cuisine. Guests are also welcome to enjoy various wines, cocktails, and appetisers in the lobby bar. 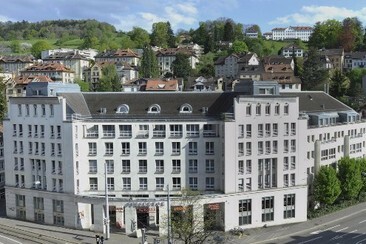 The Hotel Säntispark also boasts a modern spa with indoor and outdoor pools, and a fitness centre. The spa includes a hot tub and various saunas and steam baths, as well as a variety of massage and beauty treatments. Guests enjoy free access to these facilities, as well as the hotel badminton, squash, tennis, bowling and table tennis facilities on-site. Located in the village of Abtwil, the Hotel Säntispark is a 2-minute drive from the A1 Motorway, and a 15-minute drive from St. Gallen. OpenAir St.Gallen is one of Europe's leading multi-genre music festivals, taking place in the valley of the River Sitter just outside of Saint Gallen, Switzerland. Over the course of four days, an expected 100,000 festival-goers will occupy Switzerland's arresting north-eastern landscape, experiencing a diverse range of the world's most renowned rock, pop, indie, and electronic artists. Blazing the trail for outdoor European festivals since 1977, OpenAir St.Gallen blends the boundaries between the stages and the campsite, making it possible to engage with performances from the comfort of your own tent enveloped in the scenic Swiss countryside. The combination of an impressive roster of artists, as well as like-minded festival-goers who's shared values and love for music, have established this festival's unique reputation over the years. Mountains, forests and sweeping meadows make for a beautiful backdrop that many large-scale festivals can only envy.